It is not impossible to make – on the contrary! 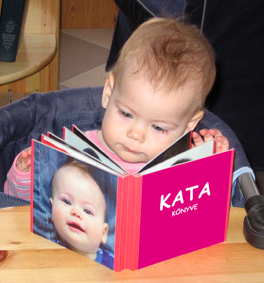 We design and print the pages. All sheets get plastic foil surface protection. The sheets are then glued to a 1.5 mm (1/16”) thick board. These boards are bound to each other with canvas. 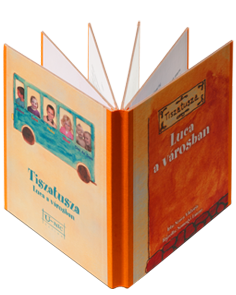 In stores, recently, we almost exclusively see board-books sold with a construction where pages are bound together by only the thin paper layer that is also used as the printing surface. 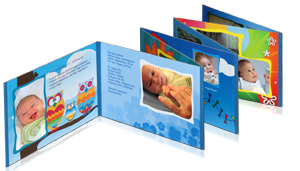 Our board books are very durable and strain resistant because its pages are held together by canvas. These books are childproof and will survive hot chocolate baths, castle building games and being throwing around, unharmed. Alternating the sides where the pages are joined makes this accordion shaped book, also called fanfold or zig-zag. It can be opened into one long piece or folded in a fan shape and stood on its side as shown. 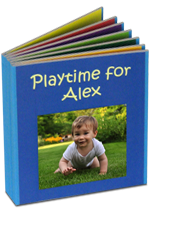 • we had someone had a book made from their own stories for a friend. This is a true gift. 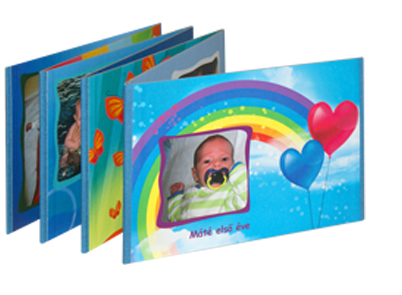 Order your own custom-made board-book!